Note from Andrea: Many thanks to author and illustrator Debbie Ridpath Ohi for this wonderful article about Christina Farley. I especially love Christina’s videos. We writers can learn a lot about marketing from her. Also, I am adding the book trailer for her newest book, The Princess and the Page, to the end of this article. Enjoy! June 5, 2017 Update: Christina Farley now has a wonderful middle grade novel out from Scholastic! See her website for more info about THE PRINCESS AND THE PAGE as well as her GILDED trilogy. I met Christina Farley through my critique group, the MiG Writers. Christy’s one of the most productive writers I know, and she recently left her teaching job so she could write fulltime. 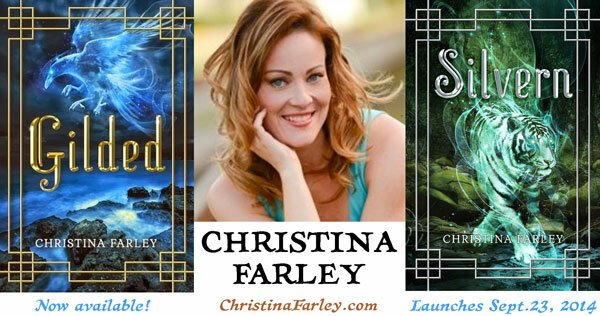 Christina’s contemporary fantasy novel for young adults, GILDED, launched from Skyscape earlier this year. Its sequel, SILVERN, launches on September 23rd, 2014. You can read the first chapter of SILVERN here. Q. What was your writing process for GILDED? Coming up with ideas for books can be a challenge, but the idea for GILDED stemmed from the Korean myth of Haemosu and Princess Yuhwa. It left me wondering what happened after Princess Yuhwa escaped Haemosu’s clutches. The what ifs inspired me to write the story of GILDED. But to writing a full length novel isn’t easy. 1. First I plotted out the story. I also did a blog post on more specifics on how to plot out books here and you can use my templates to get you started here. 2. Next, I prepare to write the book. 3. Once everything is prepped, then I write my first draft. It’s sloppy and a complete wreck, but the structure of the book is in place. For GILDED I had to do a lot of research of Korean mythology. I also found that since Jae Hwa was a martial arts expert, I had to learn Korean archery and taekwondo because I wanted the book to be as authentic as possible. 4. Revision is where the book comes to life. I revised GILDED so many times I’ve lost track. But each time, I strengthened the book’s structure, working on characterization, description, subplots and the arc of the book. 5. After I think the book is in good shape, I have my critique partners take a look. 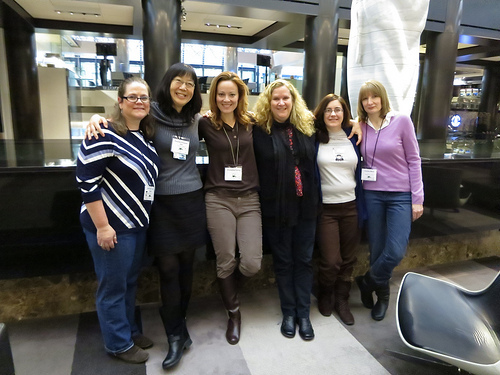 Debbie Ohi and I are part of the MiG Writers ( www.migwriters.com). 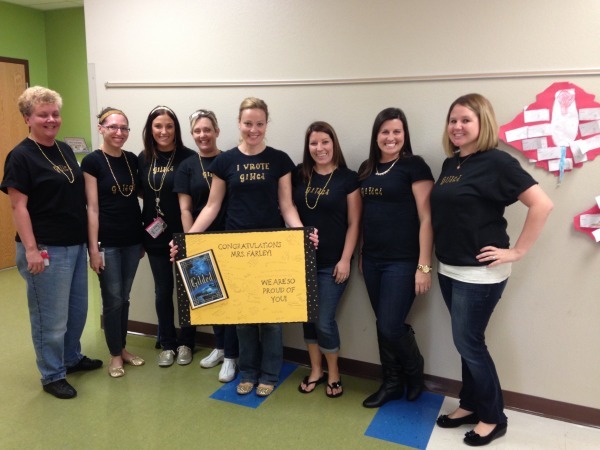 I’m indebted to her and the rest of the group for their hard work in helping GILDED shine. Q. How did GILDED get published? I like to say it was tough work, but my agent, Jeff Ourvan of the Jennifer Lyons Literary Agency, LLC, is completely responsible for selling GILDED. He found the perfect editor for me and I’m thrilled to be working with Miriam Juskowicz. The biggest difficulty I had was decision making. Before signing with Amazon Children’s, there was another unexpected option with a different project. Jeff provided invaluable guidance of what to do for my career long term rather than just signing with the first book offer I was given. I think this all goes back in finding the right agent because the right agent looks out for you not just for the one book, but for your career. Q. What advice do you have for aspiring YA writers? My advice for writers is to focus on your craft. Become not only a master of weaving words, but tap into your creative self. If others are writing it, you shouldn’t. Trend chasing will only leave you frustrated. Don’t be afraid to try something new. Challenge yourself to write outside of your comfort zone because in doing this, you are pushing yourself to become everything you can be as a writer. Don’t base your success on others. You have your own path to follow. It won’t be all grassy fields and stunning mountain peaks. The writer’s journey is a lot like the path through Mirkwood in the HOBBIT. You may feel lost, confused, trapped in the feelings of depression; and if you, don’t be afraid to take a break. Follow Bilbo’s example and climb a tree, leave the forest behind, and breathe in the fresh air. Q. How did the launch for GILDED go? For my physical launch, I had it at the Windermere Library since it was the perfect location for all of my friends and family to come together. We had 120 people show up and it was overwhelming how kind everyone was to show their support of the book. Q. What are you working on now? Any other upcoming events or other info you’d like to share? I’m thrilled to say the sequel to GILDED is coming out this fall! SILVERN delves deeper into Jae Hwa’s world. You’ll find out more about the workings of the Guardians of Shinshi and new twists on the Spirit World. Currently, I have three projects I’m playing with. I’m revising the third book in the GILDED series, drafting a new YA unrelated to the GILDED series, and researching for an historical adventure MG set in the early 1900’s. 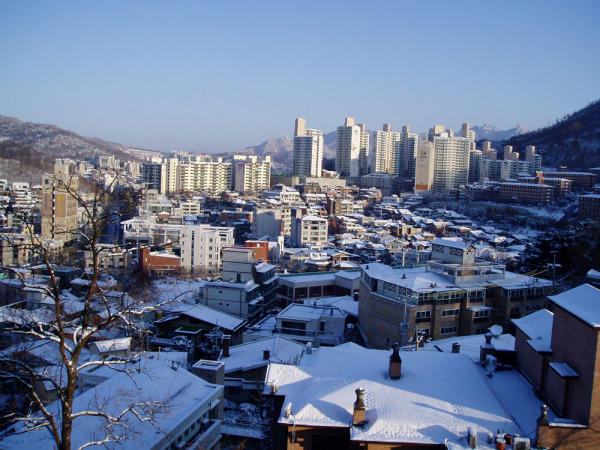 View of Seoul from Christina’s desk where she wrote Gilded.